At Jackson Hogg we think laterally, having a discipline led focus cutting across all manufacturing, engineering and technology sectors globally. Do you need a recruitment partner? Looking for your dream job? At Jackson Hogg we think laterally, having a discipline led focus cutting across the manufacturing, engineering and technology sectors globally. In a candidate driven market this enables us to effectively support candidates and clients by understanding how a transferable skill set can benefit from talent from different industries. Our team of industry experts provide high quality, innovative recruitment solutions to businesses seeking exceptional talent and aim to offer a personal tailored service that ensures you secure the correct people for your organisation. WH Partnership have been undergoing a significant change programme, that has resulted in us needing a number of highly specialised people. Jackson Hogg initially worked with us in securing our Operations Director, before then supporting recruitment on a wider basis across our technical and commercial teams. With regional and national knowledge their network is exceptional, in particular they have the ability to ensure we hire good people that they can reference for us, not only because we demand the best but because they want our business to have the best and succeed. Our relationship continues to develop and we look forward to a long partnership with Jackson Hogg. Jackson Hogg has been delivering a high quality service to Komatsu Mining for over a year and with excellent account management in place they have managed to build a real trust with us internally and have added value with their approach. They not only understand our business, they understand our culture and give consideration to the fit between us and potential candidates. In an extremely busy organisation we need our suppliers to be responsive, flexible and to deliver the highest quality in short timescales and Jackson Hogg provide an outstanding service. 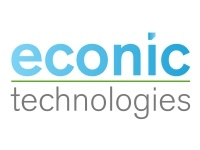 Due to the growth and expansion of Econic Technologies, we needed to appoint an Operations Director to join our business. Having worked with Anthony in the past, I had no hesitation in contacting Jackson Hogg to conduct the search on our behalf. As a start up, for Econic every recruit is critical both to business delivery and shaping the company. We were reassured that Jackson Hogg took the time to understand our business and culture prior to beginning their search and so always provided me with a shortlist that had real balance. The open and regular communication through the process enabled us to refine the search and make timely decisions, contributing to the efficiency and on time delivery of the project. The results were excellent for this challenging hiring decision, based on the strength of the search process and shortlist we managed to appoint an outstanding candidate. Jackson Hogg were referred to CPI around August 2017 by a new member of staff who had previously used them and suggested they could help with some recruitment challenges we were facing. During 2017 CPI went through rapid growth and the demand for talent was at an all-time high. From the initial conversations we had with Jackson Hogg (Anthony to begin with), we found them to be extremely helpful, honest and knowledgeable about the technology areas CPI operate within. Following successful placement of CPI’s Business Development Director, Jackson Hogg have since been asked to work on at least 10 more of CPI’s roles, ranging from niche scientific positions, to commercial and project management vacancies. Jackson Hogg offer an excellent service and we are extremely pleased at the level of knowledge and advice provided to us, as well as friendly, reliable and professional team. Jackson Hogg have been set some real recruitment challenges by CPI and they have managed to successfully deliver candidates each and every time. CPI look forward to working with Jackson Hogg and growing the already successful partnership. Should You Ban Remote Working? Subscribe to our newsletter to keep up to date with our latest talks and networking events.